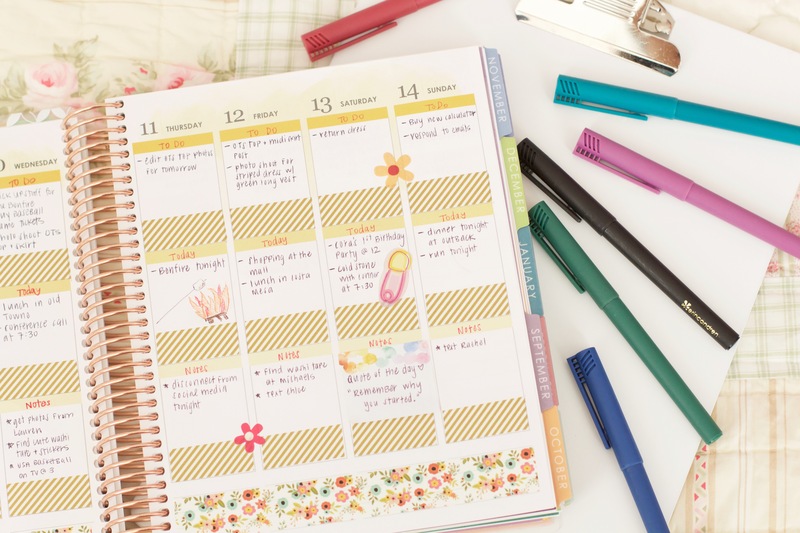 Before diving into the specifics of how I organize it, I first want to talk about the planner itself because I’m obsessed and I think you will love it too! 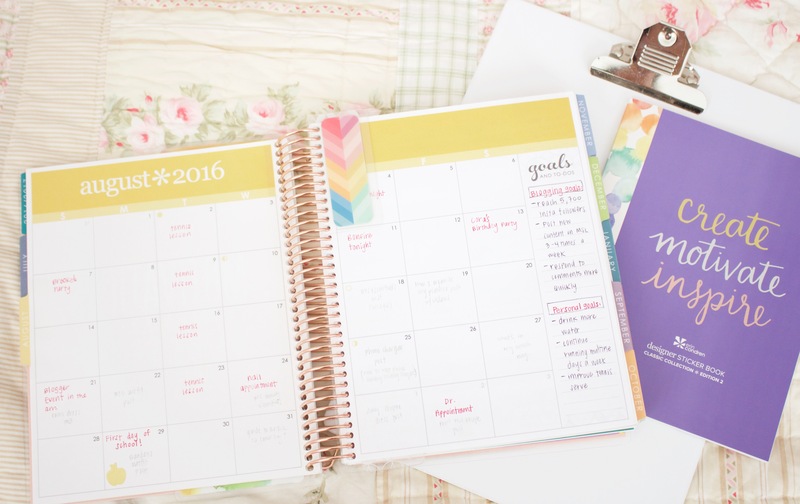 This planner is the new 2017 Erin Condren LifePlanner that I have customized to meet my needs. 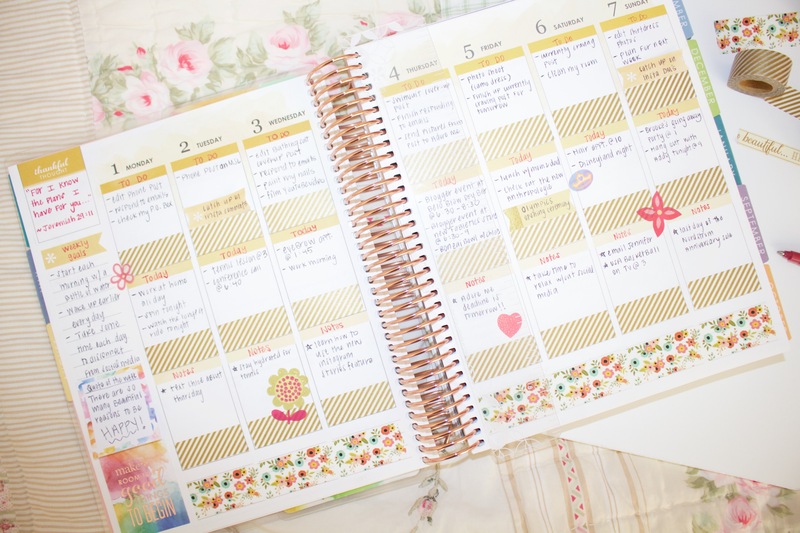 Since some of the customization is reflected in how I organize my planner, I’m going to explain that first! To start I had to make the tough decision of which cover I wanted for my LifePlanner. This was difficult because there were quite a few that I loved (luckily the covers are interchangeable so I can always buy another cover to snap on!). Ultimately I decided on this inspirational pink one and customized it with my name as well as the rose gold coil! From there, I chose to go with the vertical layout for the weekly pages (I explain why later) and went with the colorful theme (the other option is the neutral theme). Also, since I wanted to start using my LifePlanner asap, I chose the calendar option where I could have all of 2017 plus the remaining months of 2016. I’m so happy with all of these choices I made regarding the customization and I love that you can design a planner that fits YOU! Now it’s time for the fun part! 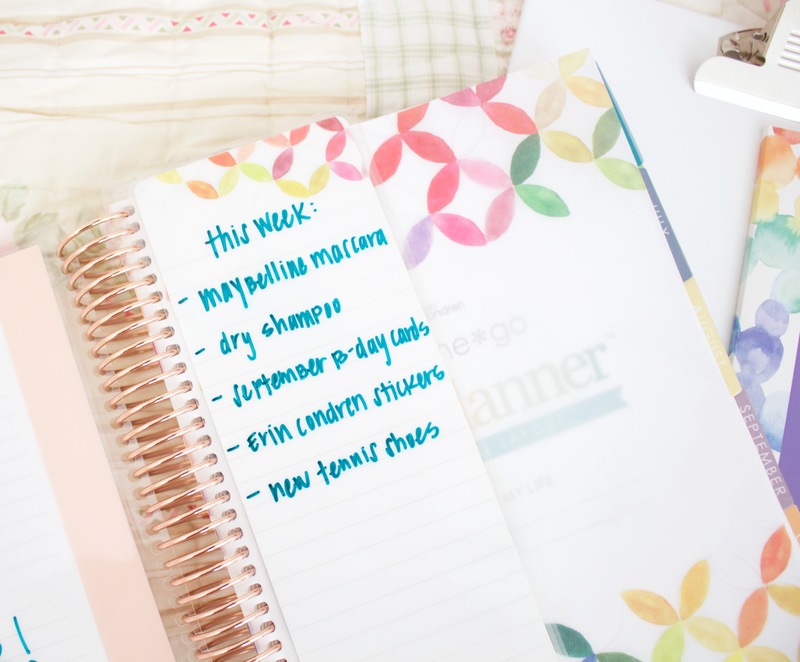 Choosing how to organize your planner can be difficult because there are seriously SO many ways to do it! While ultimately you have to find a system that fits your lifestyle, I hope that my organization tips help. As you can see, there is a dry erase board on the inside cover of the LifePlanner. While for purposes of this post I just wrote “How I Organize…,” normally I save this space for special things that I want to remember. Right next to the front cover, I have chosen to insert a snap-in dashboard. I’m a huge fan of lists as you will see later on in my monthly and weekly spreads, but I like having one list up in the front of my planner for things that I really need to buy. As much as I love technology, you can’t beat a written list and I love that I can erase this one as soon as I’m done with it. This space would also be great for weekly meal plans (there’s actually a snap-in meal planner dashboard), important reminders, grocery lists, etc. The next main space in my planner that I organize would be the monthly spread. 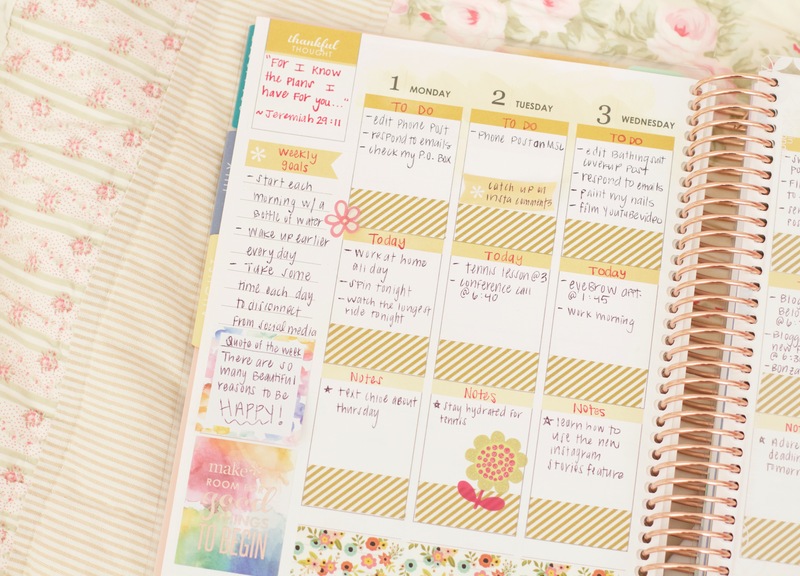 While I really break down what I’m doing each day during the individual weeks, I tend to copy the most important things into my monthly spread such as appointments and events. I actually don’t even put the specifics such as the time of an event because for me this is more of a “at a glance” space. If I need more details I will just flip to a certain week. What I also love about the monthly spread is the goals section. I like to divide it into two sections with one being my monthly blogging goals and the other being my monthly personal goals. When the month is over I enjoy reflecting on how hard I worked to accomplish these goals. I spend the most time organizing my weekly spread because if I don’t write something down, chances are that I will forget it! 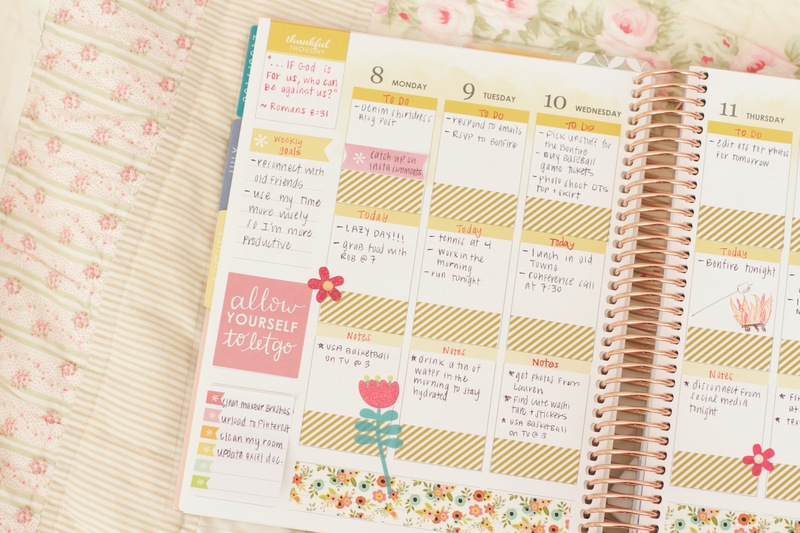 I typically organize my LifePlanner on Sundays so that I can be ready for the week ahead. 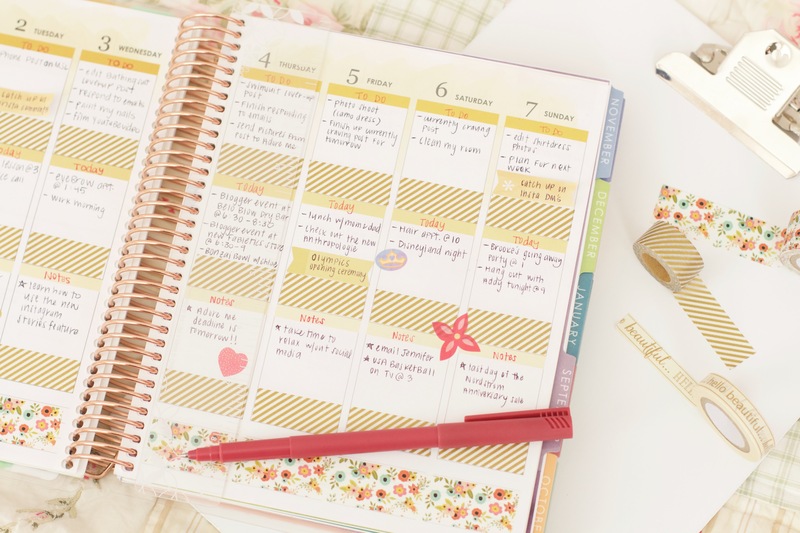 I’ve found that playing music while I organize my planner is very relaxing. To begin, I always start with the “Thankful Thought” box and write down a Bible verse that I want to focus on for the week. 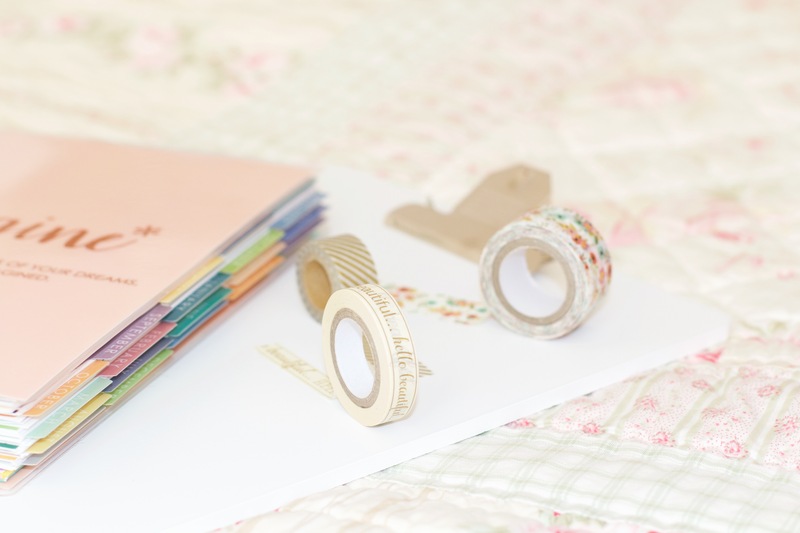 From there, I lay down all my washi tape for each day of the week and I also put some over the lines at the bottom. 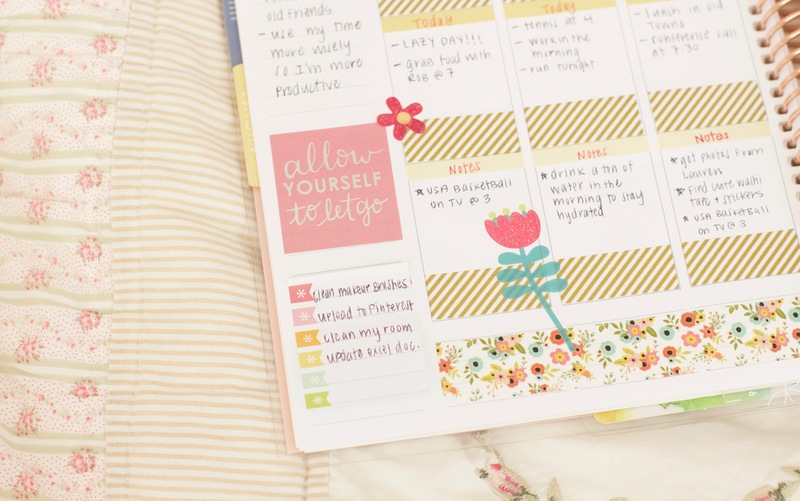 I know some people go crazy with decorating their planners, but I like mine to be simple chic! After that I normally write down my weekly goals and then really get into the actual planning. Under the To Do section, I list out all the tasks I want to accomplish that day. A lot of times for me this involves blogging stuff or even random things I want to do such as paint my nails. Under the Today section, I typically list any plans that I have with family and friends, blogging events that I will be attending, appointments, tennis lessons (I love tennis! ), etc. This section is also where I list times and detailed info about certain things that I put in the monthly spread. Finally I have the Notes section. In this space I put random reminders and thoughts. I also want to note that I typically fill in the To Do section each morning because it helps me plan out my day. Plus, most of the time I really don’t know the specifics of what I need to do on say Thursday when it’s only Sunday. Once I’ve written out all my Today sections while I’m planning ahead, I usually start having fun with stickers! I’ve been obsessed with stickers for as long as I can remember so I love decorating each week. I tend to use a mix of the beautiful Erin Condren ones and other random ones I have. As the week goes on, I fill in my planner with more and more To Do’s and notes. 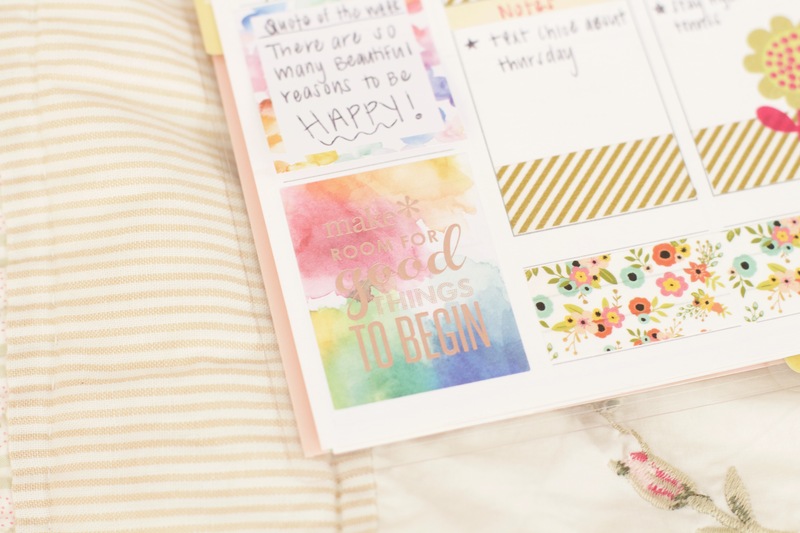 I also add in cute Erin Condren sticky notes with things that I want to get done, but that I am okay with if they don’t get done on the exact day I originally place them. For instance, I often write something like “respond to Instagram comments” on a sticky note because while responding to comments is super important to me, it’s not the end of the world if I have to put it off until the next day! I also normally add more stickers as the week goes on and even occasionally add a cute drawing. 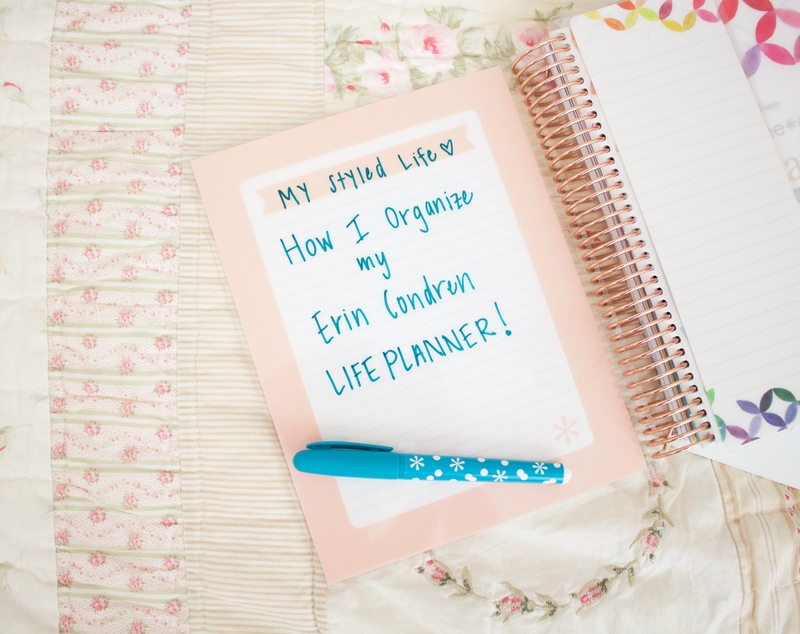 I know this post was lengthy compared to my usual posts, but I’ve had requests for an extensive LifePlanner organization post so I hope you enjoyed! 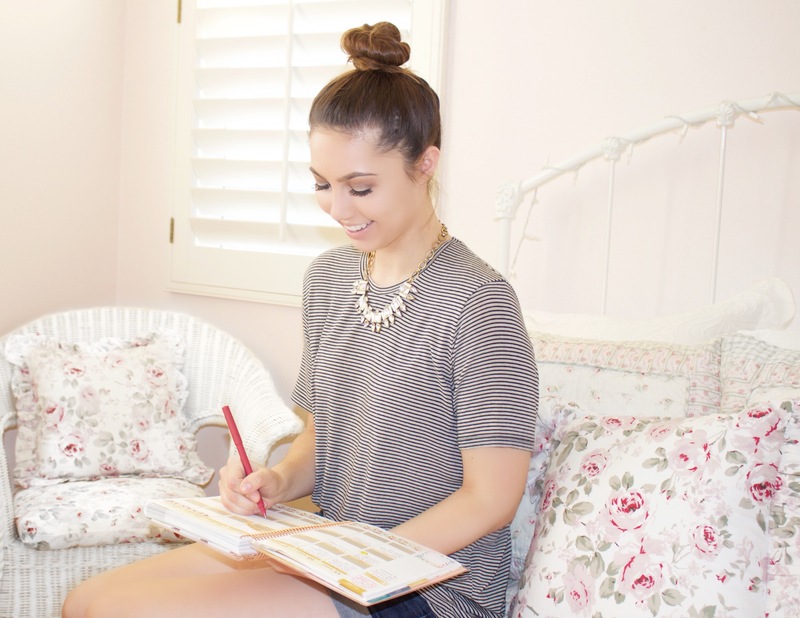 Let me know if you want me to do a monthly “Plan with Me” type of blog post! I may have already starting laying down washi tape for September and October 😉 It’s so fun! 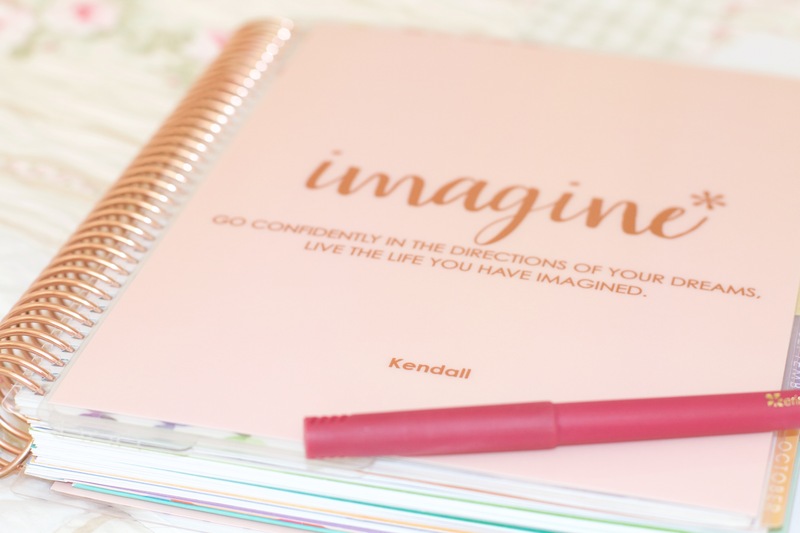 Also, if you’re new to Erin Condren, you can get $10 off your first order through this link. Thanks for reading! Happy Planning! you’re awesome and so organized!